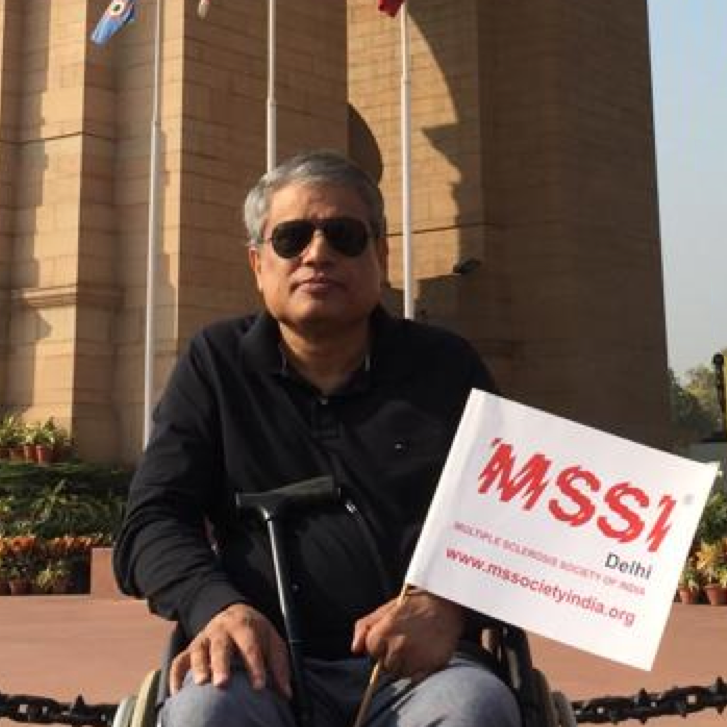 On the phone from his home, he is full of passion, cheer and life as he starts to describe his journey through #MS. Back in 1994, while on a flight, Prabal experienced a near-death experience when he suddenly couldn’t see anything in front of him and crash-landed his aircraft. By early 1995 the symptoms of MS had started affecting his ability to go for his morning jogs/walks. Since in those days even the doctors did not have much awareness of this disease, he got referred to a wrong specialist. During his posting in Bhuj he noticed a reduced capacity for walking and dragging of the foot and finally after visiting a Mumbai hospital was diagnosed with #multiplesclerosis. Even though Prabal retired from service at the age of 52, he says that now he has more time and so he spends it pragmatically. The day I was speaking to him, this air force veteran had already finished a round of 1.5 hours of yoga, 1 hour of swimming and a visit to the library in the morning!